Building a deck is an amazing accomplishment, but it’s one a lot of people shy away from. It sounds like a very complicated project, not to mention labor intensive. It can be, but it doesn’t have to be. 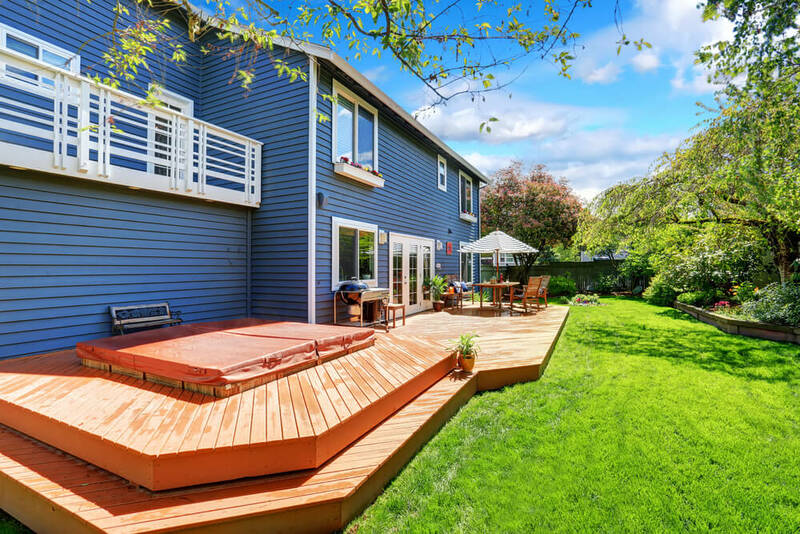 Whether you’re building the deck yourself or hiring the project out, your deck should be customized to you. Don’t be afraid to go big if that’s what will suit your house! 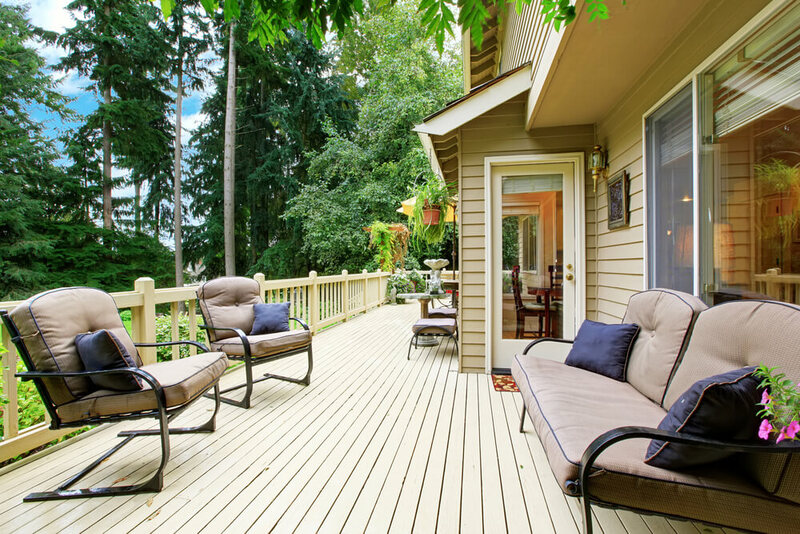 If budget is a concern, a small deck can be just as complementary to a house as a big deck. There are many things to consider when it comes to building a deck. Materials, additions, decorations, and more all need to be decided on for such a project. Don’t worry though, you’ll find all the information you need to get started down below! For the purposes of this article, we’re going to assume you’re building a deck from the ground up. Your requirements are a little different if you’re just resurfacing an existing deck, so make sure not to get sidetracked by irrelevant information in your research. 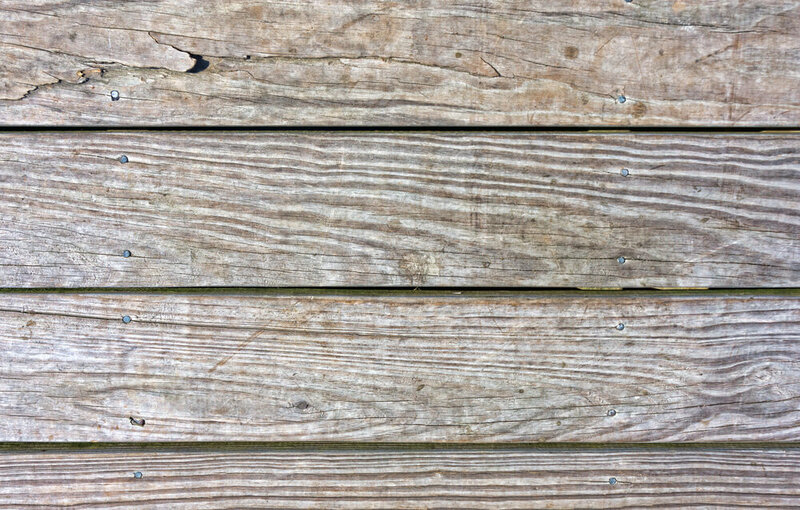 You have a few different options when it comes to decking materials, so research each carefully to fully understand what benefits they can offer you. Not all decks are equal, nor are all decks equally priced. 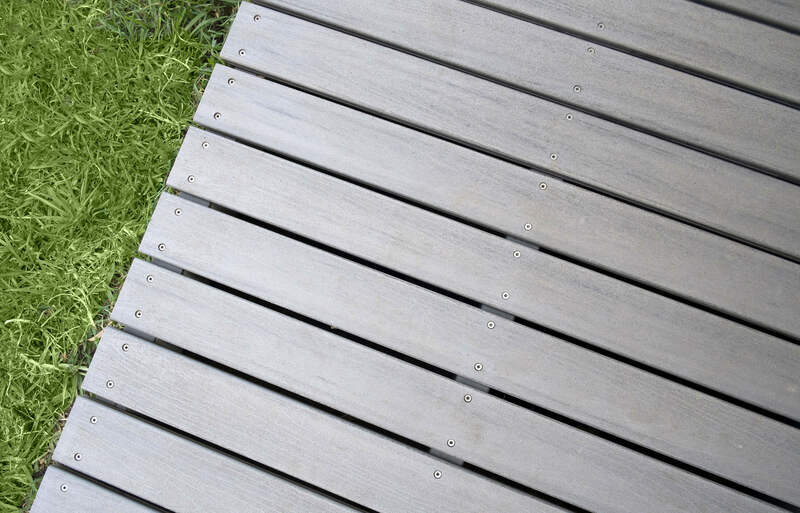 The number one decking material sold is pressure-treated lumber. Roughly 75% of all new decks are constructed with pressure-treated lumber, which is understandable given how affordable it is. Pressure-treated lumber is easy to work with, treated to resist rot or fungus, and readily available anywhere. The main downside with pressure-treated lumber is a tendency to crack or warp, which necessitates quite a bit of upkeep. Some deck builders prefer tropical hardwoods, such a Philippine mahogany, cumaru, tigerwood, and others. 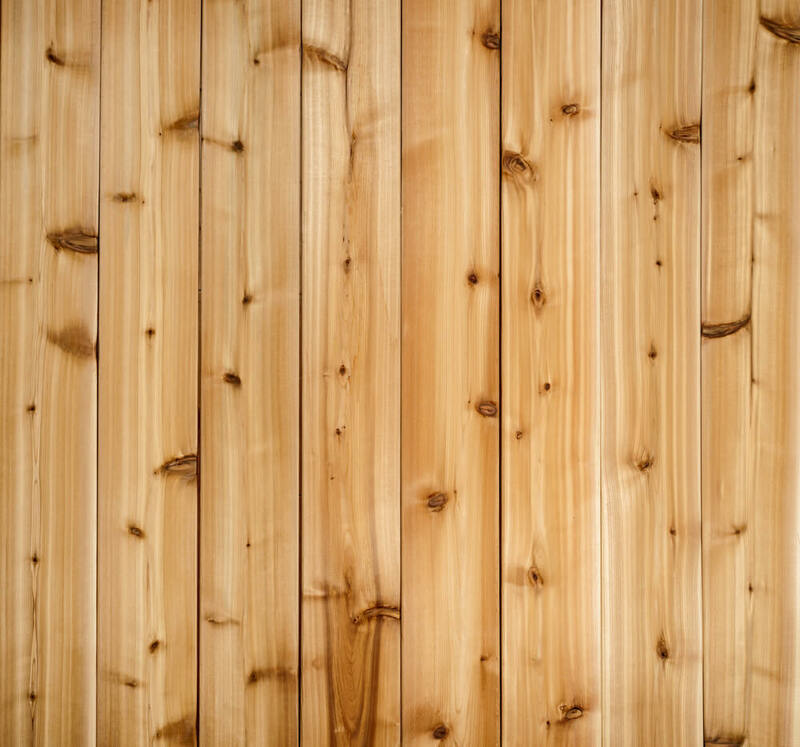 These woods are rich-grained and very durable, not to mention naturally resistant to rot and bugs. The main disadvantage to tropical hardwoods is their cost, but they can also be hard to work with, given their density and weight. Other expensive wood options include cedar or redwood, which are both rich in color and naturally beautiful. One of the hang ups some have with these woods, however, is that only the heartwood, that which grows closest to the center of the tree, is naturally hard and resistant to decay. Wood from the outer edges of the tree is softer and decays more easily, which is problematic. Another option to consider is composite decking or plastic lumber. 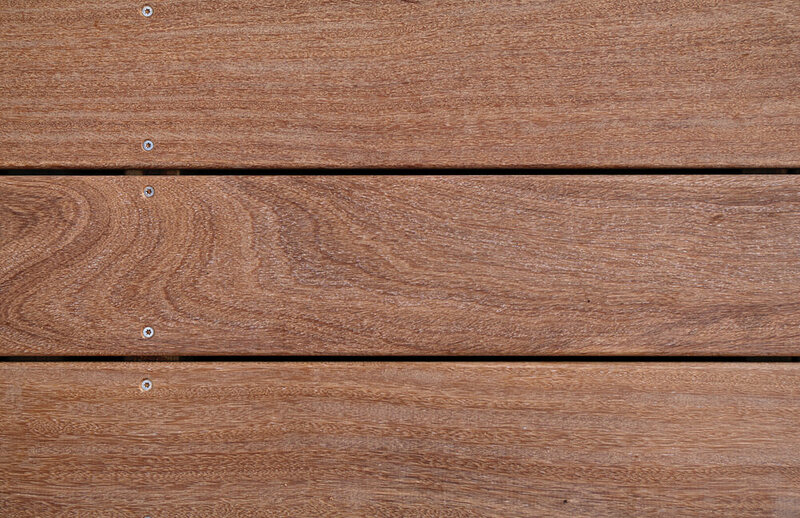 It’s a fast growing industry in the decking world, and is widely available. Composites are very weather resistant, and don’t warp or split. They come in a variety of colors, and are usually made of wood fibers and recycled plastic. Plastic lumber is 100% plastic, and is also very weather resistant, and won’t crack or split. The biggest advantage to manmade decking options is the lack of upkeep. There are a few other materials that can potentially be used for building a deck, but they tend to be rare. If you hire someone to build a deck and they have a recommendation other than what we’ve gone over here, be sure to research it to make sure it’s the best option for you and your home. 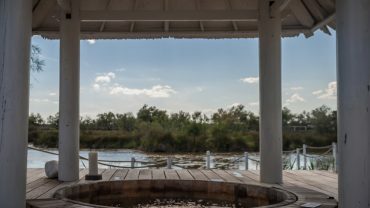 There are a few basic types of deck designs, and these concepts can be molded into just about any size or plan to accommodate your specific house. Having measurements for your home and knowing how much of your yard you want to take up can help you come up with a plan. 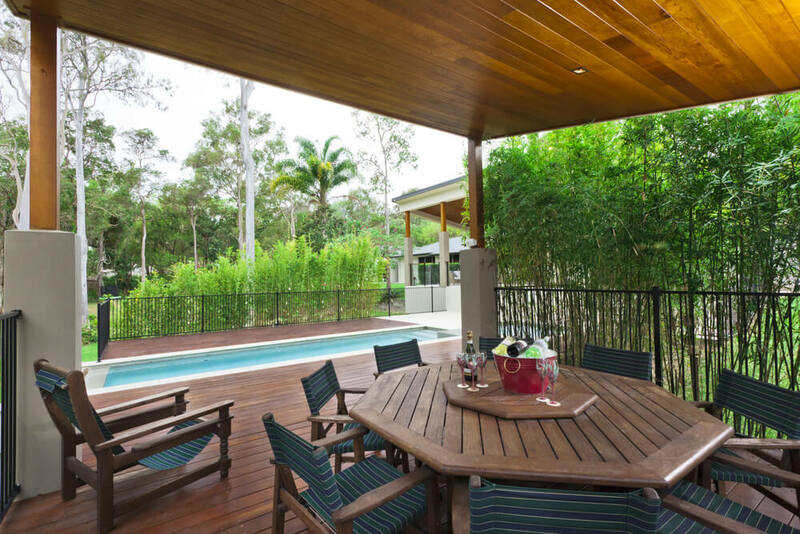 If you’re working with a builder to create your deck, then they can help you plan what will complement your home the best. 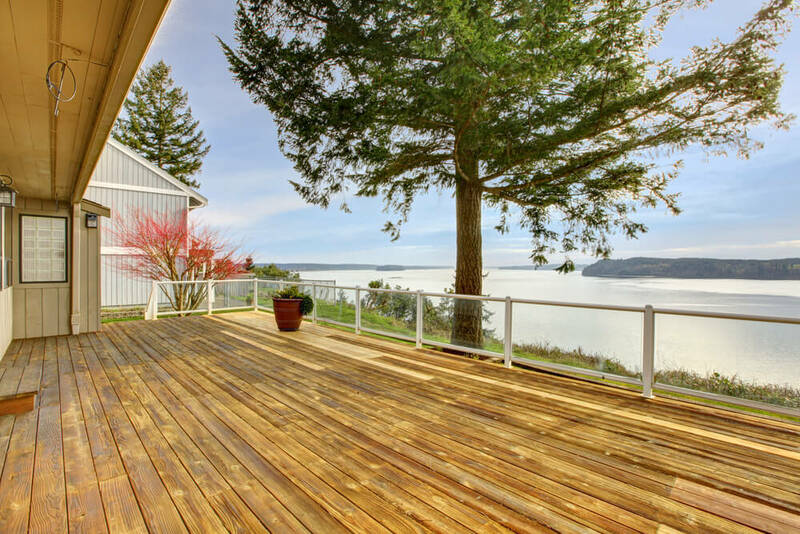 What kind of deck you build is going to depend entirely on your home. For example, if the first floor of your home is above-grade, you’re going to need a raised deck. Raised decks require more customization than some other types might. 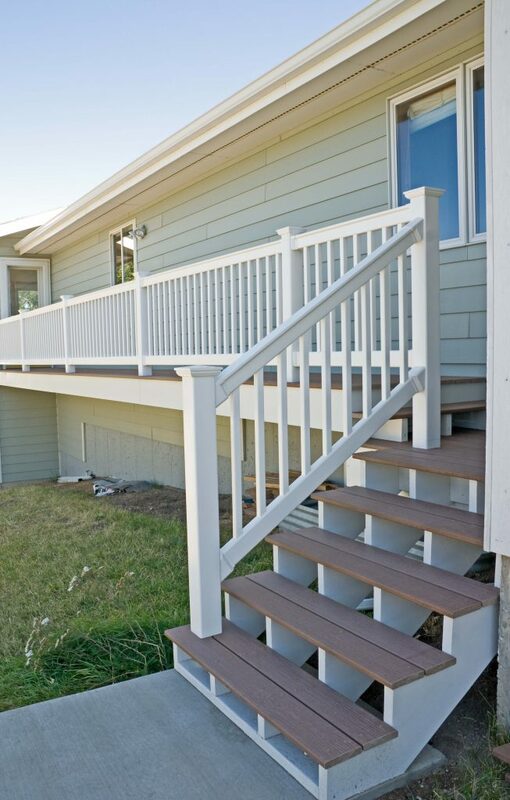 Railings, stairs, and foundation posts are all necessities of raised decks. There’s a lot of style options available to you with a raised deck, so don’t be afraid to get creative. Perhaps the opposite of a raised deck is a platform deck. This is a deck that’s low to the ground, usually done for homes that have a first floor level with the ground. Platform decks are easy to customize because they’re so simple, and they don’t really require anything. Railings on a platform deck are purely ornamental, and stairs aren’t necessary. There’s a lot of design options for a platform deck. 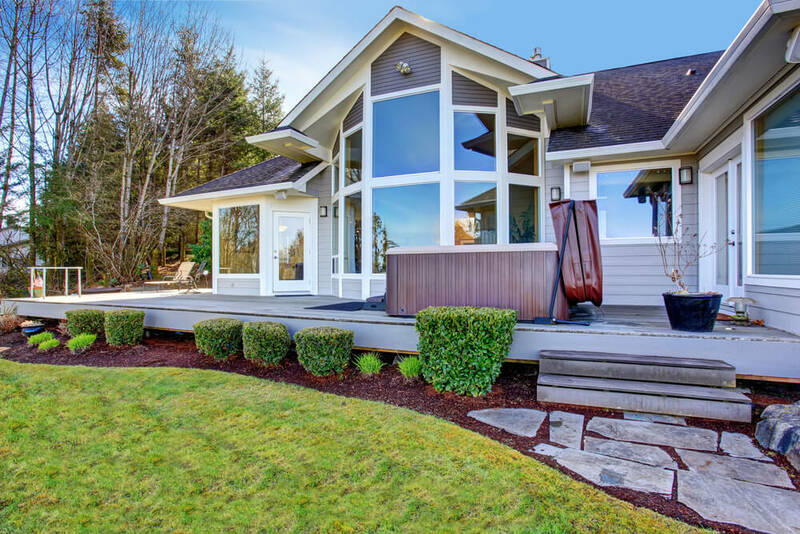 Freestanding decks are a good option for your home if your house doesn’t have a good setup to allow for the addition of a deck. 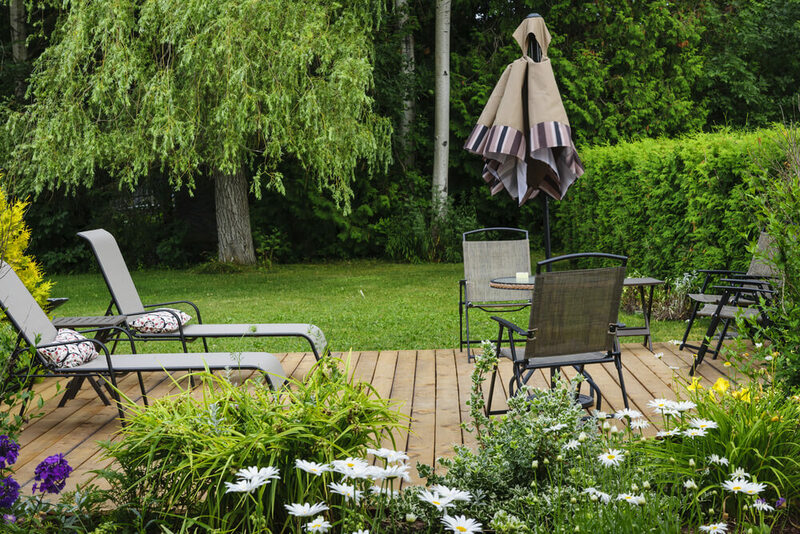 You can create a deck space elsewhere in the yard, perhaps connected to the house by a decorated pathway. Freestanding decks are normally covered, but they don’t have to be. It’s up to you! If you want to get really creative with your deck building, consider a multistory or multilevel deck. These kinds of decks are a lot more labor intensive, but can be a fantastic extension to your home. Multistory decks are decks connected to more than one story of your house, with stairs going between then and railings for safety. 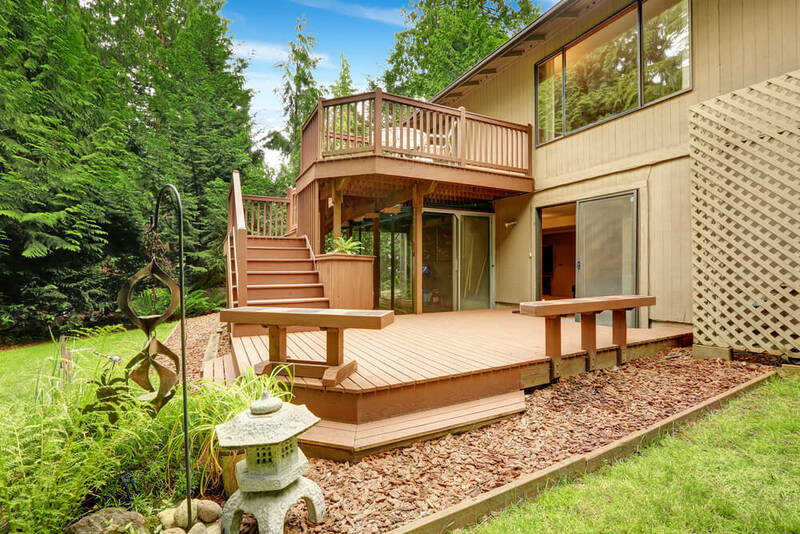 Multilevel decks don’t have to be multistory decks, and can sometimes just be different levels of deck interconnected by stairs or walkways. There’s a lot of flexibility in that kind of design, so don’t be afraid to plan a few different styles. You don’t know for sure what will work for you until you give it a try! For most decks, having a railing is an important part of the deck. Railings are composed of posts, a handrail, post caps, and balusters or spindles. There are quite a few ways to customize your railing, including what it’s made of. Your railing can be designed to match, complement, or stand out from your deck. 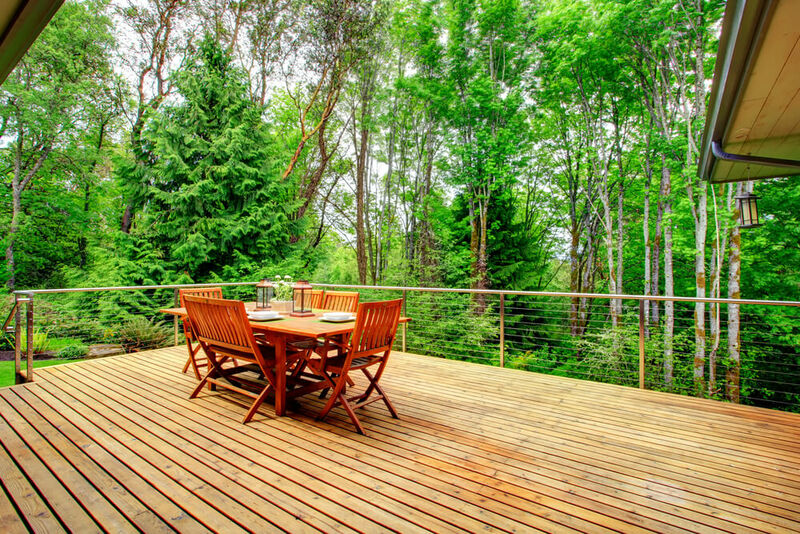 Wooden railings are a common choice, especially if your deck is wooden. It’s a simple options, and you can customize it in a wide variety of ways. Wood doesn’t tend to be very expensive, and you can choose wood to match or complement a wooden deck without any trouble. Wood does need regular maintenance though, and that can be a major dissuading factor for some people. If little to no maintenance is what you want, then a composite railing is a good choice. It will look clean and new without hardly any effort on your part, and it doesn’t usually cost you an arm and a leg. Plenty of brands with good reputations are available for composite railings, so you’ll have a wide range of good options to choose from. Composites often come in a variety of colors, so you can choose a color that matches your house or deck, or even get creative and pick something that stands apart. Cable railings are a good option if you have a view from your deck you want to leave unobscured to some extent. It is a more expensive option, but it tends to have a very sleek appearance, and is a great option for more modern homes. The industrial look of cable lends itself well to a city landscape. If you have a view that’s more natural, or perhaps coastal, then a glass railing may be a better option for you. Tempered glass railings block wind, which is great for coastal areas, and don’t impede your view at all, which is perfect if you have a home with a great landscape to observe. Glass is expensive, but it can often be worth it, merely melting into the backdrop and providing you with both a beautiful option and a secure one. Lastly, one customizable option available to you is metal. You can choose just about any kind of metal for your railing, though iron and steel are two of the most common. Aluminum is also used sometimes, and many others. 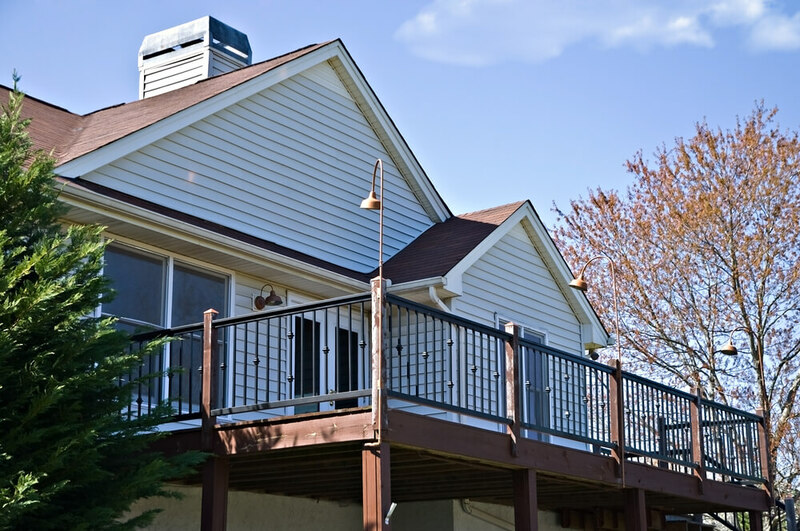 Depending on the makeup of your deck and home, you may find metal to be your preferred aesthetic choice. No matter what material you choose, try and construct a railing that flatters your deck, your yard, and your home. Railings are for security, but they’re also for decoration. You need to be happy with your choice, so make sure to research your options and get a feel for what you like the best. 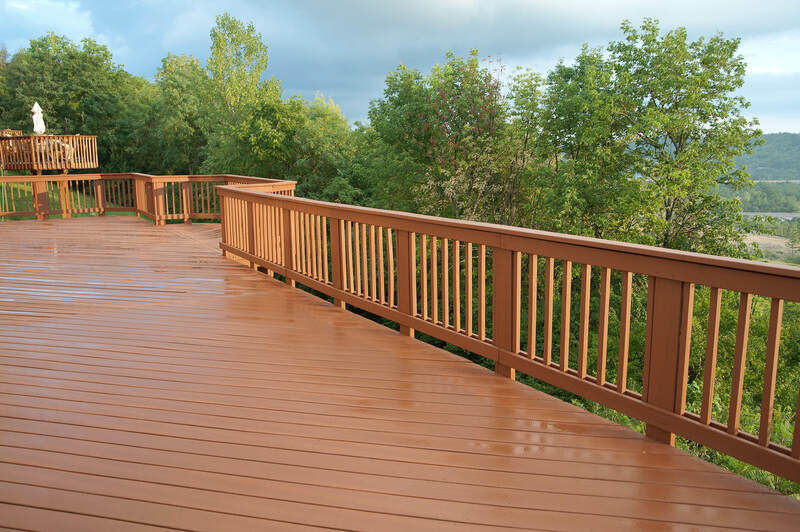 Once you know what kind of deck you want and what kind of railing, if applicable, you now have plenty of options for customizing and decorating your deck! This can mean anything from a physical addition to the deck itself to décor you purchase after the fact to spice things up. 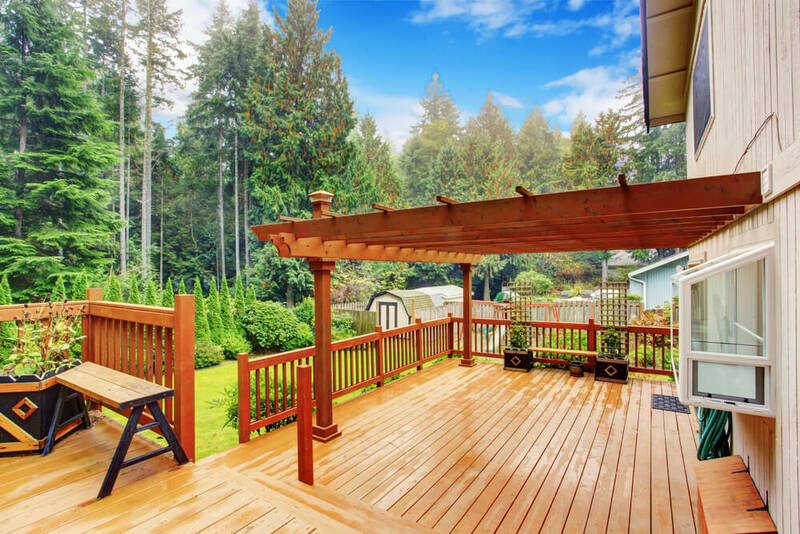 A deck is a great way to extend your personality past your house and into your yard, so express that! 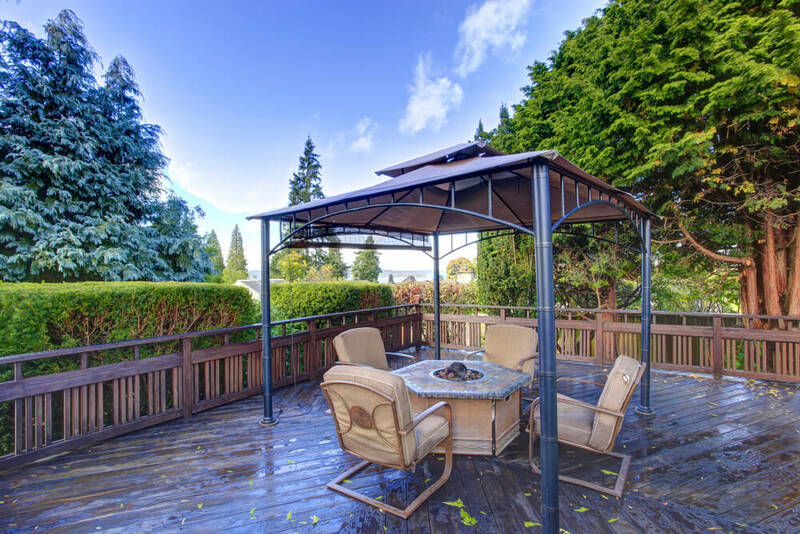 When it comes to building additions into your deck, one of the nicest add-ons you can construct is a gazebo. 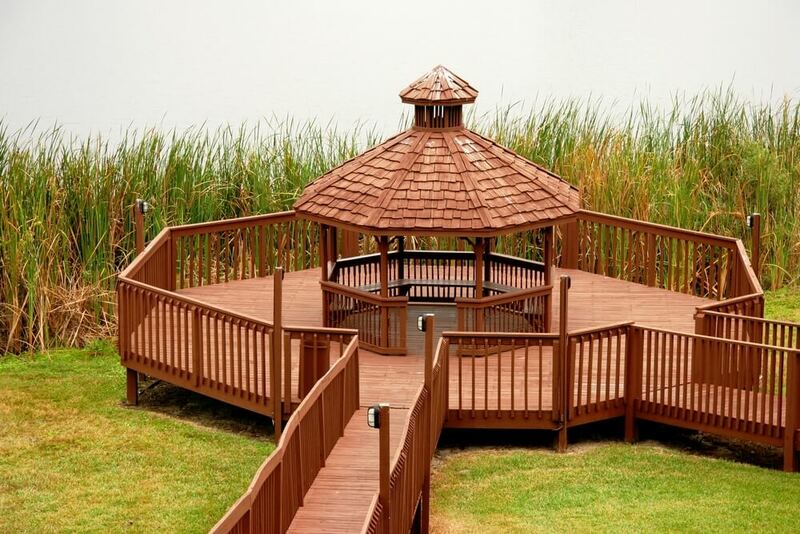 Whether it’s next to, part of, or on top of your deck, a gazebo is a lovely accessory to any deck. 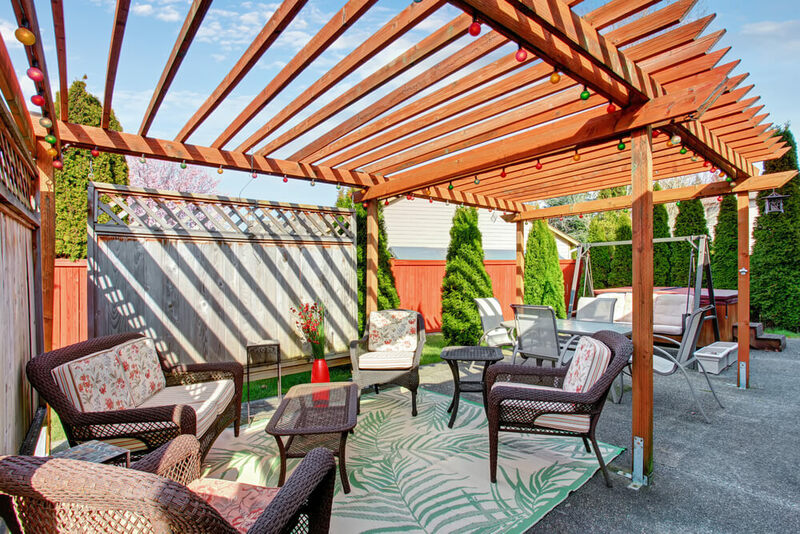 Particularly if your deck is uncovered, a gazebo provides shade and is a fun space to decorate. It’s also versatile, and you can design it any way you want to accent your home. 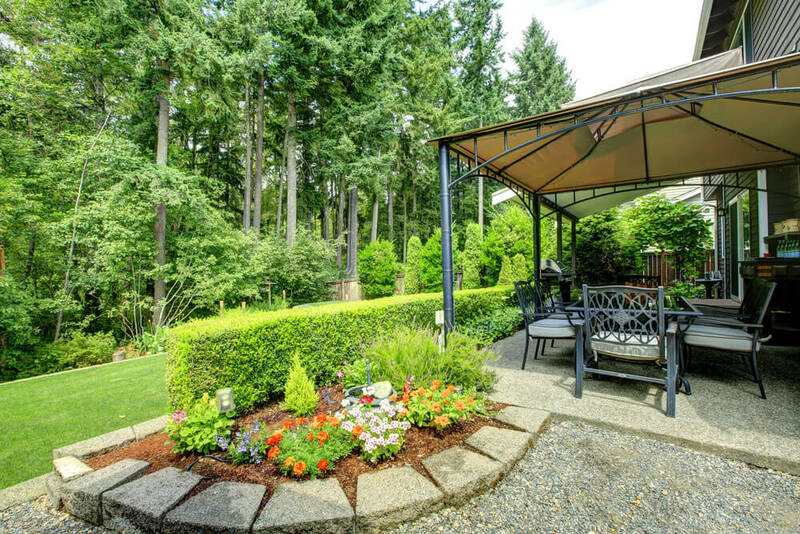 Shade is an important part of any backyard, and building in a source of shade to your deck is a wise move. You can build a cover for your whole deck, part of your deck, or just build in spots for umbrellas to go up when the sun is blinding you. Shade can mean a lot of different things, so look into what will fit best with the space you’ve created. 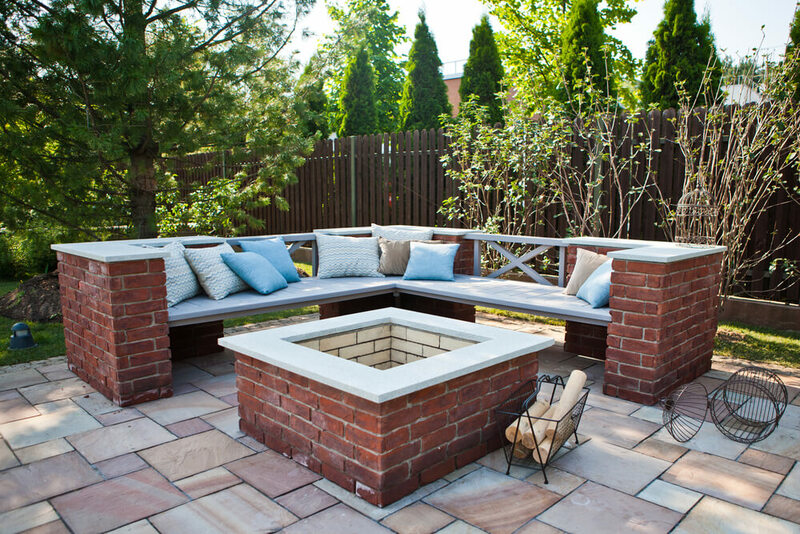 Another fun addition to consider building into your deck is a fireplace. There are a lot of different ways to incorporate a fireplace into your deck, and it’s a great addition no matter the season. It can be warming on cool nights, or a fun activity for cooking s’mores during the summer. 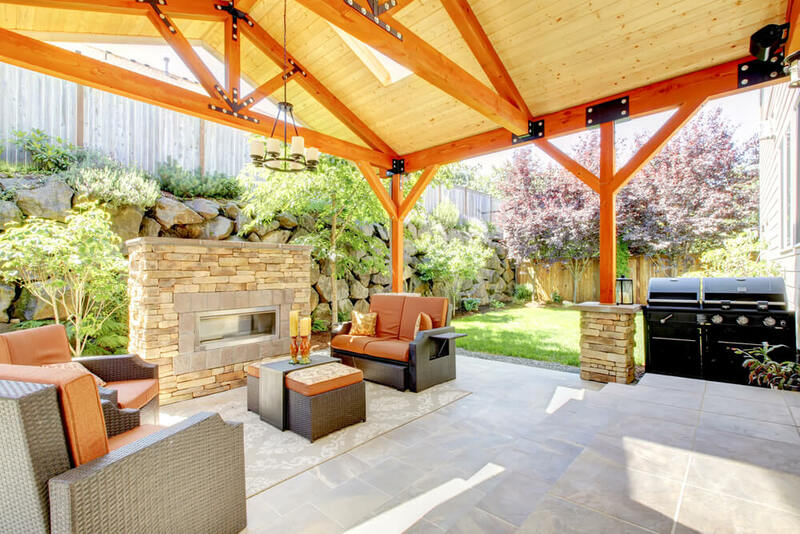 Ultimately, a fireplace is a great way to decorate and improve your deck. Some additions don’t need to be built into the deck, which gives you flexibility when it comes to decorating. 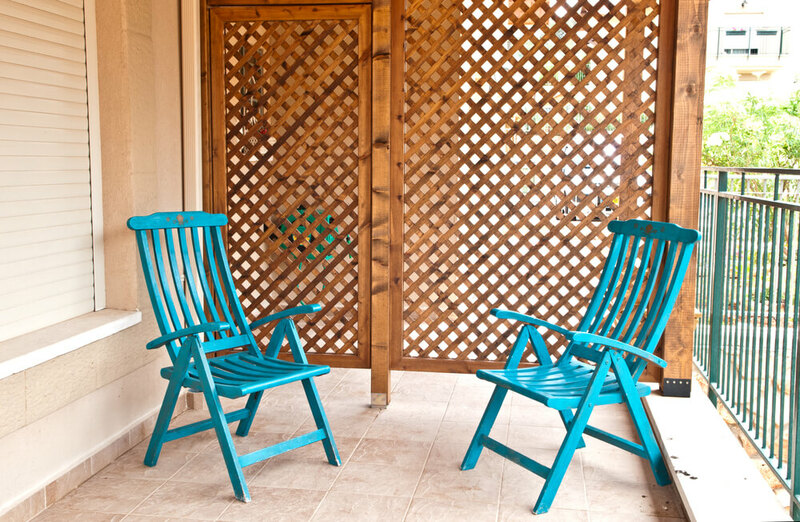 A lattice is an easy addition to your deck. You can decorate it with lights, ribbons, or even plants, such as ivy. Speaking of plants, landscaping is one of the easiest ways to decorate your deck, even if you’re just adding potted plants. Trees, flowers, shrubs, and even herbs can all be fantastic additions to a deck. Arrange them in big displays, scatter them all over, or organize them by type. Your deck is yours to decorate, so don’t be afraid to experiment a little. The nice thing about plants is that you have the chance to plan their layout before you commit them to a single location. Lastly, we can’t forget furniture. 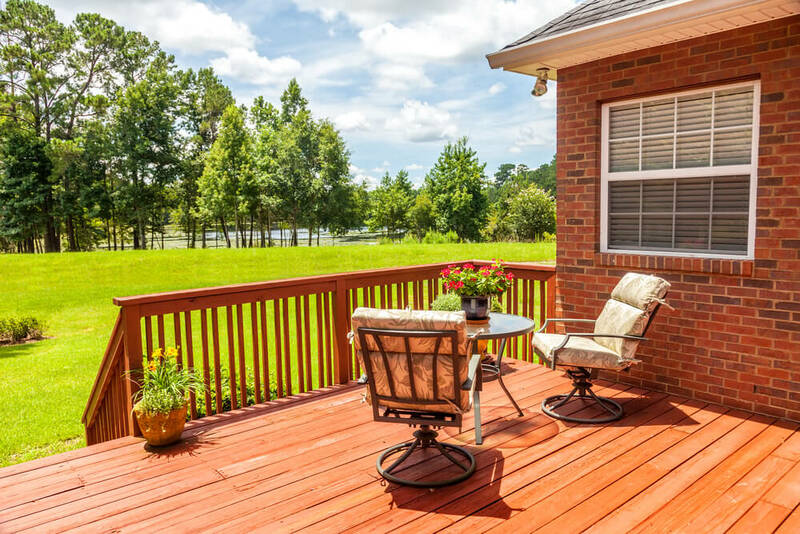 Most decks at least have a few chairs, but that’s the minimum of what you can incorporate into a deck. It can be nice to include benches, especially the swinging kind, for couples or friends to share. Chairs and tables are great for sharing a beverage outside. Some outdoor couches and pillows are weather resistant, and add a touch of comfort and class to your deck. There are lots of options, too many to list, so be sure to look into what’s available. Some furniture may work better depending on your local climate, so choose what works best for you. If you’ve chosen your ideal decking material, deck design, railing material and style, and an idea of how you’d like to customize and decorate, then it’s time to get to work! Come up with a budget that accommodates your interests for the deck, and don’t worry if you have to scale back a little. Sometimes, conserving in some areas allows you to embellish other areas later on. If you’re planning to build the deck yourself, you’ll need to research where to get your materials, and consult with others who’ve done similar projects before. No one gives better advice than someone who’s already done it! If you’re hiring someone to build the deck, begin the consultation process. A deck builder can give you costs, ideas, and recommendations a lot easier and faster than if you researched it all alone. Once the builder knows what you like and what you ideally want to see done, they can work with you to make sure your finished deck is as close to your vision as possible. No matter what you decide, you’ve already made the first step by deciding to add a deck! It is a big undertaking, but once you have that brand new deck to step out onto and enjoy, you’ll be glad you did it. It’s your home, and you should be proud of every part of it!